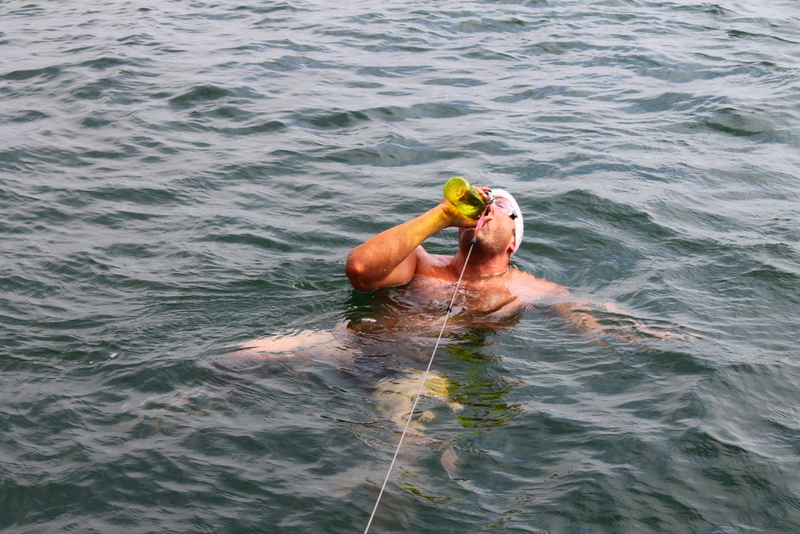 Unlike Third Spacing of Fluids, salt mouth is one of the most common and least visible or appreciated effects of marathon swimming and can cause the swimmer great distress and discomfort, and yet it’s invisible to everyone else. Salt Mouth is the effect of salt build up on the tongue and in the mouth and throat. The extent of the effect is directly proportional to the immersion time obviously, but less obviously to the salinity. We sometimes speak about the limiting factors of distance swimming being hypothermia or jellyfish or currents, but salt mouth is also one of the most significant limiting factors for very long swims. At its worst salt mouth can inflame the throat, make swallowing nigh on impossible and the swim ends. 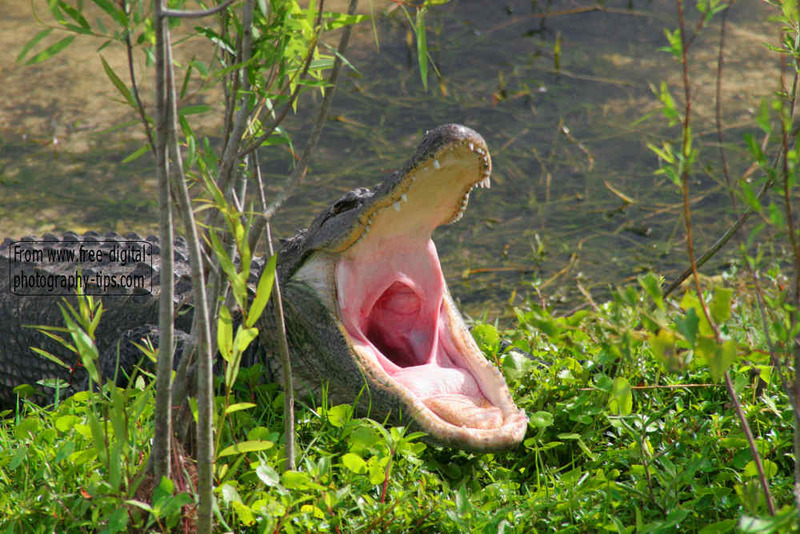 Some swimmers even report shedding the entire surface of the tongue and throat. For myself post-swim initial mild discomfort starts after about four or five in salt water. For a swim less than ten hours the discomfort doesn’t last more than 24 hours (e.g. Manhattan) and often only overnight. However for longer swims the discomfort or even pain can be quite significant. After my English Channel, I had a lot of discomfort for over three days, to the extent that eating was painful. Lisa Cummins was in a lot more pain after her 35 hour two-way crossing, that took even longer to abate. For those unused to swimming in the sea, a marathon sea-swim can be a painful experience with the salt mouth gradually building up from early on during the swim. Other swimmers may just notice a gradual loss of taste during feeds and not detect the extent of the build-up until after the swim. I’ve said above that salt mouth is less obviously related to local salinity. This is because people often don’t realise the different saline levels around the world and often come from a lower salinity region. The south coast of Ireland is about 4% whereas the English Channel is about 4.5 to 5%. That’s a 15-20% increase. Over 5% isn’t even considered salt water but brine, (though we use the terms interchangeably). The west coast of the US for example is around 3 to 3.5%. 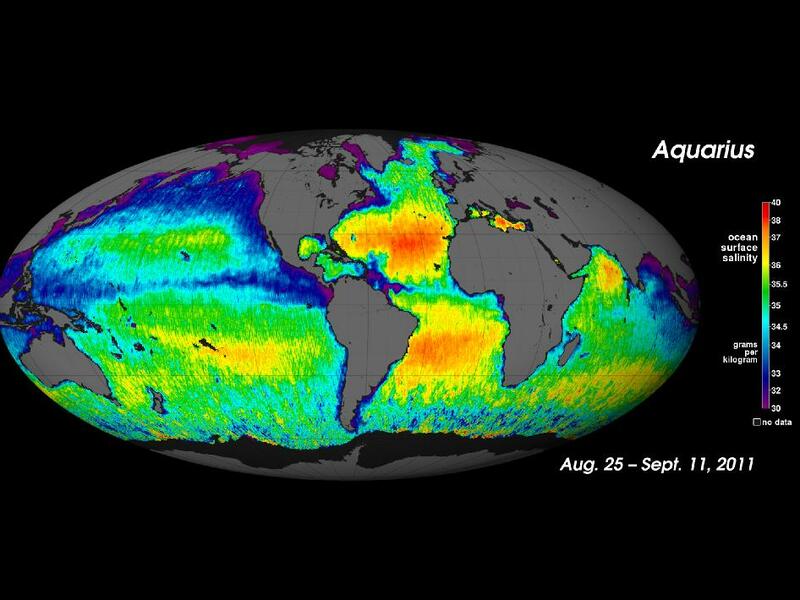 Ocean temperature obviously affects salinity but so does ocean size and mixing. The Mediterranean Sea has higher temperatures and a smaller area so the saline solution becomes more concentrated. 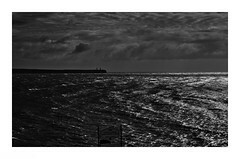 In the English Channel the water is constantly pushed and pulled up and down the Channel by tides and can’t escape so the salinity increases. The most usual method of combating salt mouth is for the swimmer to take a dilute mouthwash solution regularly during the swim. Undiluted mouthwash during a swim can the swimmer’s mouth to feel burned. Dilution rate is a personal choice, but usually 25%, 33% or 50%. I use 33% as I find 50% is still too strong. Frequency is also personal; Alan Clack asked for an increase of mouth wash during his Channel Solo, as he could feel his throat getting sore and he was getting a mouthwash about every 90 minutes and it seemed to work for him. Of course this needs to be always balanced against the time taken for the mouthwash. The other key method of combating salt-mouth is to change your breathing pattern such that you are exhaling through your nose in salt water. Most experienced swimmers will exhale through both nose and mouth, especially in the pool. This is partially related to the effort expended. But for a marathon swim the swimmer is maintaining a lower rate of exertion and it is possible with practice to exhale through the nose only, reducing the exposure of the mouth to salt water. A method that hasn’t really been explored yet but which was mooted by a dentist friend is to line the inside of the throat with a protective barrier. Should this happen, it will doubtless be a future area of rules contention. Apart from these two methods swimmers choose various food items which seem effective at temporarily combating or relieving salt mouth. 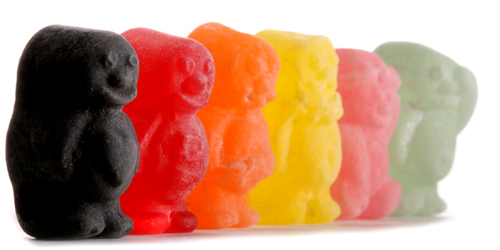 Tinned peaches and jelly babies are amongst the most popular. Ice-cream after swims is also popular for this reason. I found Kendal Mint Cake useful during training swims. 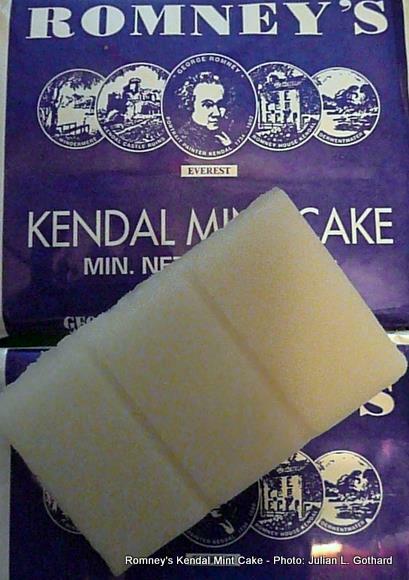 For those unaware of Kendal Mint Cake, it isn’t a cake but compressed glucose with a slight hint of mint, famously used in early 20th Century mountain-climbing and polar expeditions and still very popular with climbers for its compact size and high energy content. Later in swims though as the mouth cools it is difficult to melt and swallow. Overall Salt Mouth should not be dismissed as a mere inconvenience but as another of the potentially serious limiting aspects of swims, which require consideration during training and investigation of preferred methods of alleviation. EDIT: Have a look at English Channel Soloist and Utah resident Gordon Gridley‘s extreme salt tongue photo in the comments below. Gordo trained and did his English Channel qualifier in the Great Salt Lake, where salinity is far greater than the open ocean. I was the chef on board the support vessel for Ross Edgley on the Great British Swim and we used coconut oil as a barrier in the mouth after mint mouthwash. This worked to the extent that he still had a tongue after swimming for 157 days. A spoon full of coconut oil swirled around then spat out. It’s officially a trend now. I still don’t get it. I know. Has anyone has yet called you Donal on your blog? Do we still need that one for a Full House? Personally, just like cold water acclimatization, I think the effects of salt mouth can also be reduced by consistent exposure to it. Not considerably so, but I can tell that either I’m getting used to it, or its effects aren’t as severe. I’ve never swam north of the causeway, where it’s twice as salty than the southern end. I really need to get up there and experience that. During the months where I train out there three times/week for significant distances, and need the my mouth to recover ASAP, I’ll drink chocolate or strawberry milk to give my mouth a “prize” in hopes that it gives my mouth a quicker recovery. Not sure what it’s real effect is, but it sure makes my throat and tongue say thank you. Thanks Gordo. Though I am loathe to confirm Paddy the Irishman stereotypes, and I don’t drink much myself, I have found that a pint of stout also helps after also. Great article Evan. Not much is written on this topic. I trained for my EC crossing swimming in the Great Salt Lake. Which is about 2-3 times saltier than the average salinity of the ocean. I did my qualifier in the GSL and at the end my tongue was thrashed (after 11 hours of swimming), Yeah my tongue and mouth shed. After a week I still had one massive and painful canker in the back of my throat and went to see a throat specialist. It went away after about 2 weeks, but man the most painful part of the entire swim was the two weeks it took for my throat to recover. When the time came to swim the EC, it tasted sweet compared to GSL. The harsh training conditions really prepared me. Utah locals who train for ocean swims really have it good living here. Can’t beat it unless you actually live near the ocean. Thanks Gordo, but Evan…? Have Evan & I become so synonymous? 🙂 Of course if I could swim as fast as Evan I’d be happy. That said, I was actually thinking of you when writing this, because I figured you must one of the world experts on salt mouth, so I’m delighted you dropped by and thanks, I think for the horrific picture, and I’ll now edit the article to point at it. Let me ask you though, do you have any additional advice from your GSL experience (which if I recall can be up to 15% salinity in the North west quadrant of the GSL?)? ( I swam off Antelope Island once and I have no idea how you do a 6 hour there, kudoes). Was there anything out of the ordinary you found that helped delay its onset or helped with a quicker recovery, that the rest of us could learn from? Doh! Sorry Donal! Yeah, I tend to mix you two up.